This great value Fuchsia ‘Lucky Dip’ collection will ensure you have a stunning display in your patio containers, hanging baskets and window boxes this summer. Your plants will be selected from a range of trailing, upright and hardy fuchsias in a range of pretty colours. Whatever you receive we are sure you will not be disappointed! 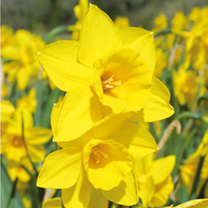 Supplied as plug plants.Culinary information: Some parts of these flowers are edible. Click here for more details about edible flowers. A summer afternoon favourite since its creation many moons ago. This all time classic lawn game will provide the perfect entertainment for any garden party! Loved by kids and big kids alike. Includes 4 mallets, 6 hoops, 1 stake and 4 balls. Semi-double cornflower blue flowers. Standard variety. Flowers January-December. Height 11-20cm. 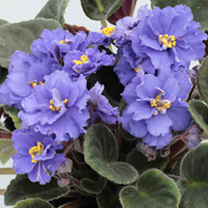 GP – Greenhouse perennial. Make this the best summer ever for your kids with the Greenfingers Inflatable Waterslide. 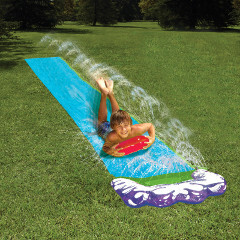 This great slippery slide is great for creating your very own water park in your back garden.Features:Long slide designWater splash area at end of slideConnects to hose pipe for water fountains effectNow you can have your very own slippery slide in your back garden thanks to the Greenfingers Inflatable Waterslide. This fun slide is over 4 meters long giving your children hours of fun in the sun.You can connect this waterslide to a hosepipe to create an even more slippery fun as you slide through the spray effect into the end splash pool.Dimensions:L488 x 71cmPlease Note: Do not attempt to use in water. Ensure that ground is free from sharp items before inflating product. Do not jump on this product. Use only under supervision. 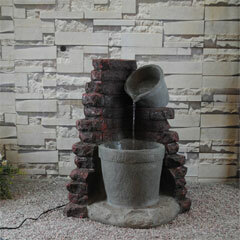 Add a fantastic point of interest in your garden with this Greenfingers Double Barrel Water Feature. It makes a stylish addition to your patio or garden and exudes a charm all of its own with reproduction dark red brickwork and stone effect barrels. Enjoy the soothing sound of water gently cascading from the top barrel to gather in the upright bottom barrel that stands on a mock stone base ready to start the whole cycle again. It has been recreated in resin and glass-fibre to provide a realistic and durable focal point which is self-contained and does not require attaching to a water source.The Double Barrel feature comes with everything you need to get up and running once it has been installed and is supplied with a pump all fittings and instructions.Enhance the look and ambience of any garden or patio no matter how big or small and add an extra dimension that will help you to unwind to the gentle sound of running water.Dimensions: L60 x W44 x H69cmContentsDouble Barrel Feature x 1Pump x 1Instructions x 1Fittings kit x 110m cable x 1Click here for Assembly Instructions.Please note: this does not come with a plug due to safety measures. This product is designed to be permanently wired to the mains supply using a Residual Current Device for your protection. The installation must conform to the regulations of your local electricity authority. A new lucky dip collection of stunning hardy perennials - just perfect for creating a cottage garden or filling in gaps in your borders! These popular perennial plants are exceptional value for money and will get bigger and better each year, filling your garden with colour as well as attracting bees and butterflies. Your collection will include six different varieties from our extensive range, which includes delphinium, digitalis, campanula, aquilegia, lychnis, verbena and lots more. Supplied in 1 litre pots. Please note: image is for illustration purposes only and actual varieties supplied may vary. 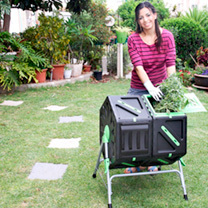 With this clever compost roller you can easily create an inexpensive and endless supply of nutritious compost. It has two rotating chambers which make it the cleanest and easiest way to produce the best possible compost in the shortest possible time: its ventilation and mixing systems speed up the composting and decomposition processes. Plus its weatherproof and UV-stable. Measures 65cm (25) x 65cm (25) x 82cm (32) high. Capacity 70 litres.